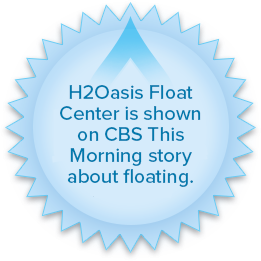 We are the most reviewed float center in the U.S.
official Floataway training and consultation center. Gift Certificates at H2Oasis make the best gift! The oxygen bar is paired with high-grade essential oils that can help you with relaxation, stimulation, alertness or whatever you need. We can add CBD to any service or treatment for the ultimate in relaxation. This includes tincture, cream and CBD water in our oxygen bar with your oxygen aromatherapy session.